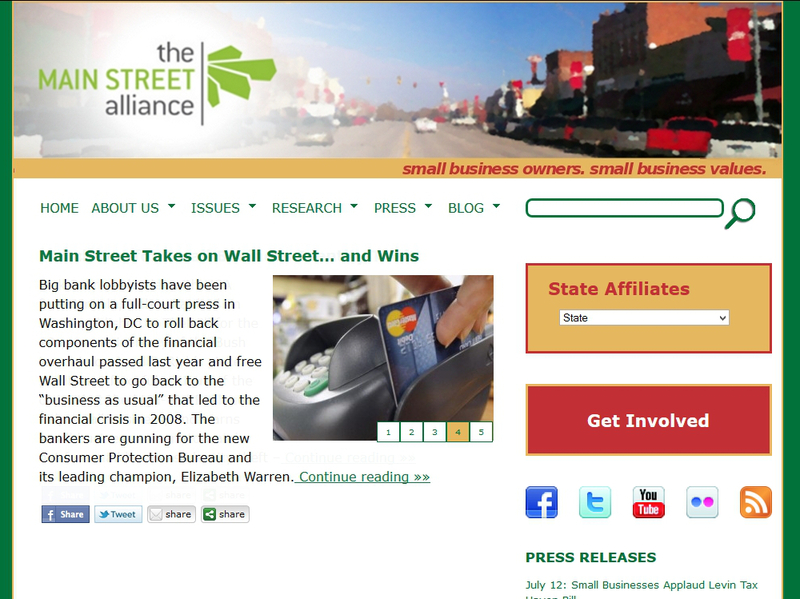 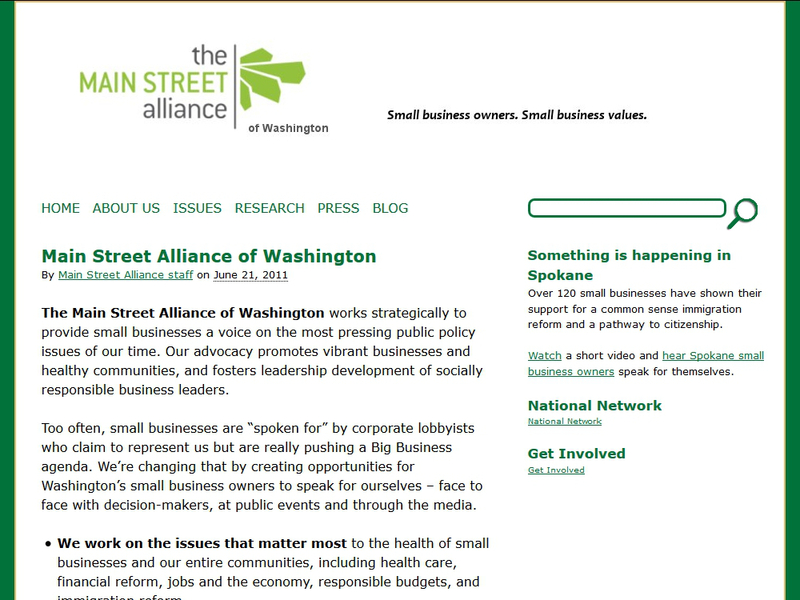 The Main Street Alliance | Building Websites for the People! 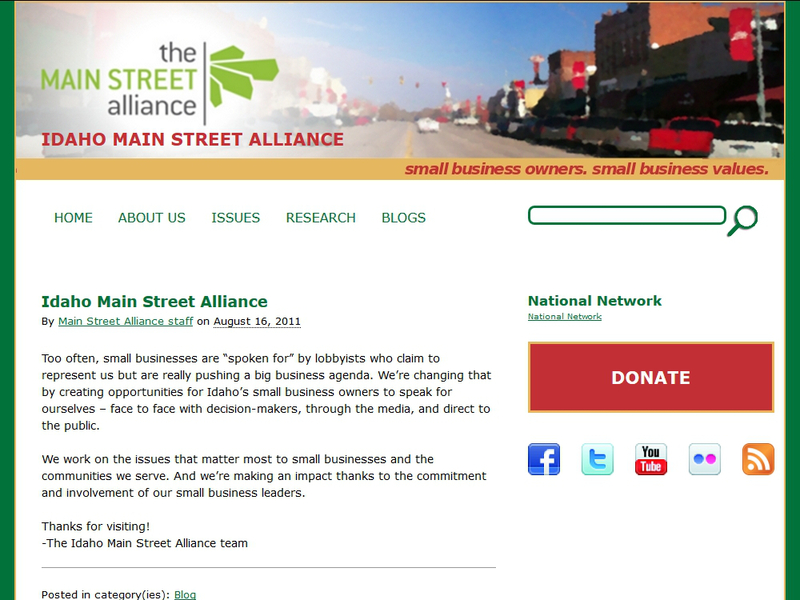 The second WordPress website I built was in 2008 for a new organizing project known as The Main Street Alliance. 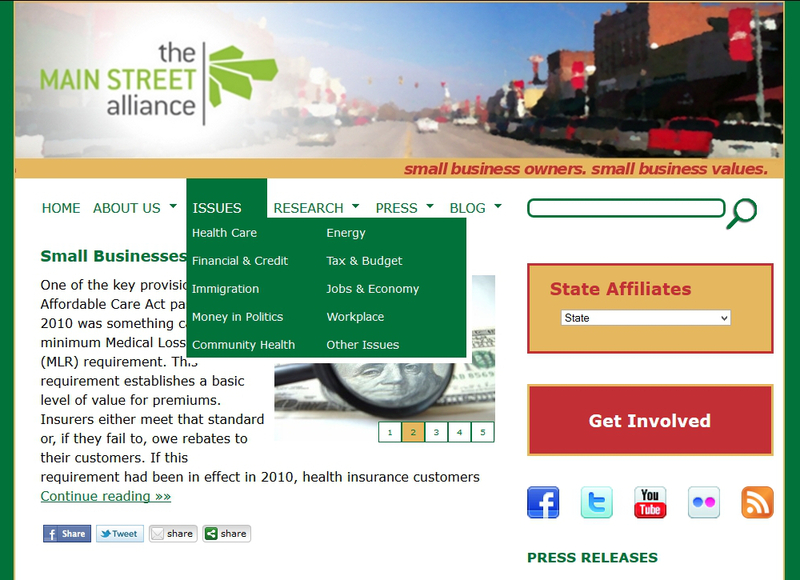 It is a national network of small business groups organizing around issues like health care, living wages, and paid sick days. 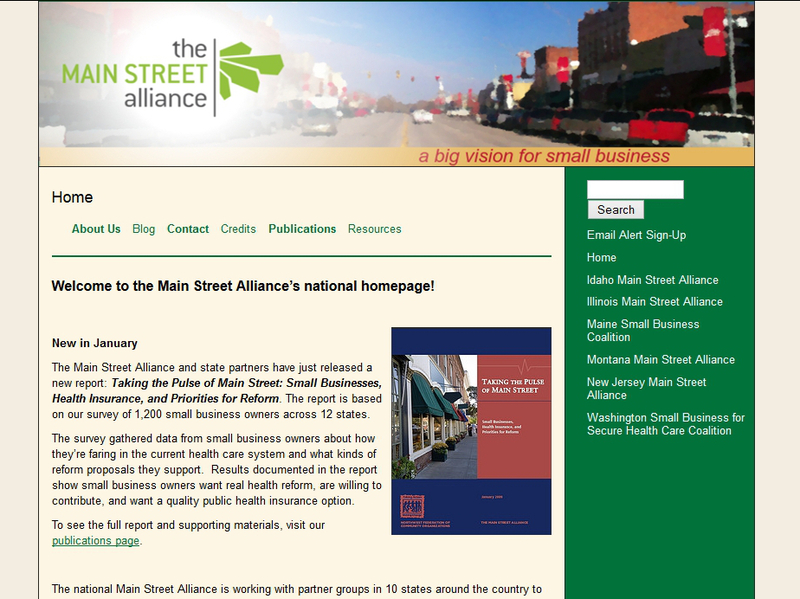 The Main Street Alliance’s national website featured my work until mid-2014. 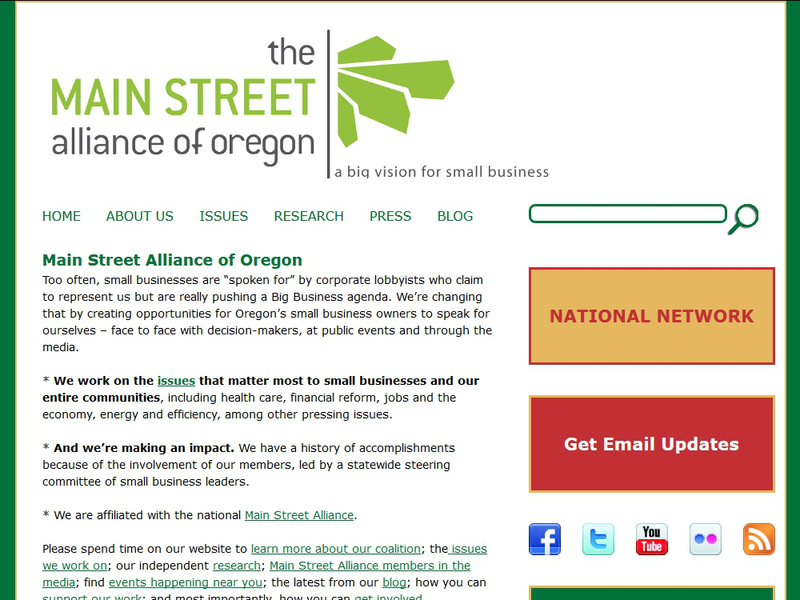 Many of state chapters use the theme I built for them still. 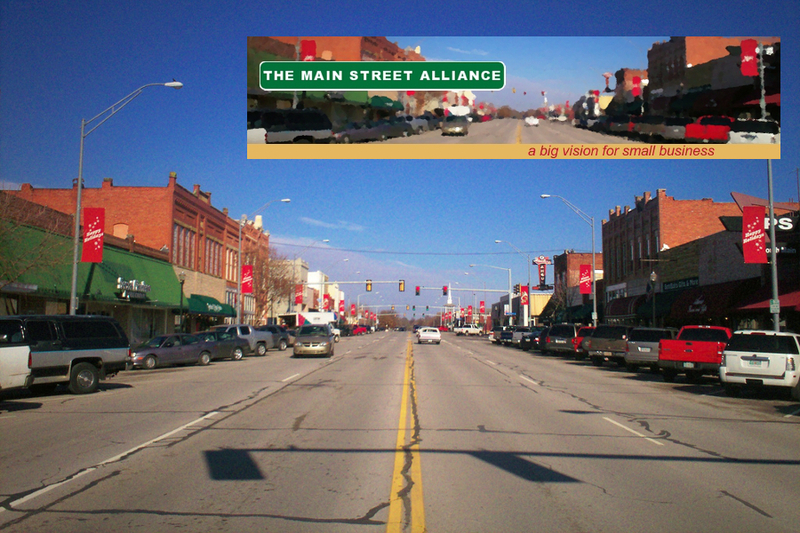 I used GIMP to create the banner image used on Main Street Alliance’s website based on this photo of downtown Broken Arrow, OK.